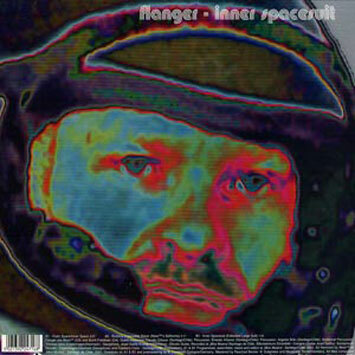 Morphing from vocoder-led electro to deliciously funky, electrically vibrant Latinodelic, 'Inner Spacesuit' is the first single from Outer Space / Inner Space, the third Flanger collaboration. The single includes a re-edit of the album's title track, a murderous funk of a tightness discreetly caressed by harmonic asteroid vibrations, while the Atom™ mix of 'Bosco's Disposable Driver' from Flanger's last album, Midnight Sound, accomplishes the rhythmic transformation from Latinotronics to fractal Pulsar Jazz with the fragmented salsa of the original break. Zingy! Uwe 'Atom™' Schmidt and Burnt Friedman's extensive works under the aliases Atom Heart, LB, Señor Coconut, and The Nu Dub Players - and respective independent record labels Rather Interesting and Nonplace -frankly make our heads spin with the versatility and astonishing prowess they display. Hold on to your ejector seats: the album Outer Space / Inner Space beams in November 5th. Flanger are also set to play their first ever UK live dates in November.